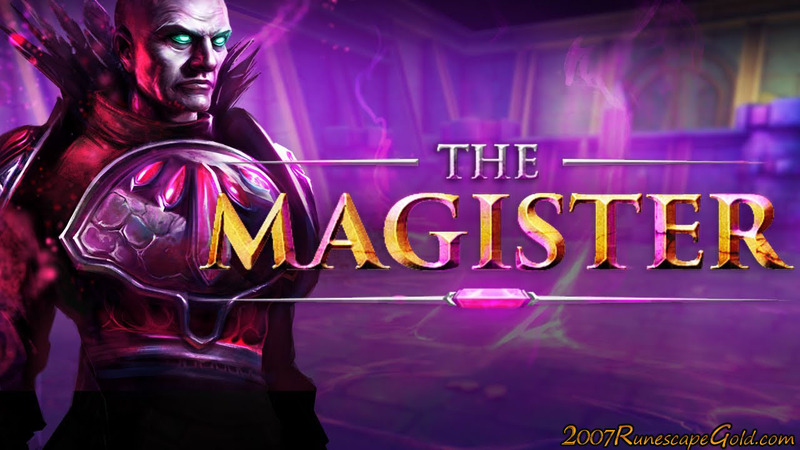 The good folks at Jagex have just recently announced The Magister who is a new Slayer boss for Runescape. There is a trailer over at the official Runescape YouTube channel and it is worth having a look at, but we also wanted to share our thoughts on this new Slayer boss. The first thing we need to talk about is that in order to enter this boss fight you will need 115 slayer and also 1 key to the crossing. Now you will need 1 key each time you want to do this so keep that in mind. You will find The Magister in the Sohpanem Slayer Dungeon and he is located behind the first gate. By taking down the boss you can get some really cool drops, most notable is the two tier 92 stab weapons which have a really cool design to them. We really like the sound of this boss fight as it sounds pretty old school in its design. What we mean by this is that Jagex themselves have said that the Magister will change his tactics and become more difficult as the battle progresses so you will have you change up how you are fighting him and make sure you are always paying attention. Finding out about The Magister was a very nice surprise and many of us in the 2007RunescapeGold.com office cannot wait to put this guy in his place! We would love to hear your thoughts on The Magister and also let you know that we have some very special offers on Runescape Gold right now so be sure to get a lot of gold for a very small price!